The Chroma-Q® Color Force Compact™ is a powerful creative lighting tool that works in perfect harmony with the popular Color Force™ range. The Compact is a cost-effective workhorse, ideal for a wide range of applications. Utilising core LED technology from the Color Force™ range, the fixture provides 1700 lumens in a cost-effective, slim, compact profile, while maintaining colour compatibility with the rest of the range. Despite measuring only 235mm / 9.25" in length, the Color Force Compact™ produces a powerful 1700 lumens output - making it ideal for lighting areas with a very small footprint. 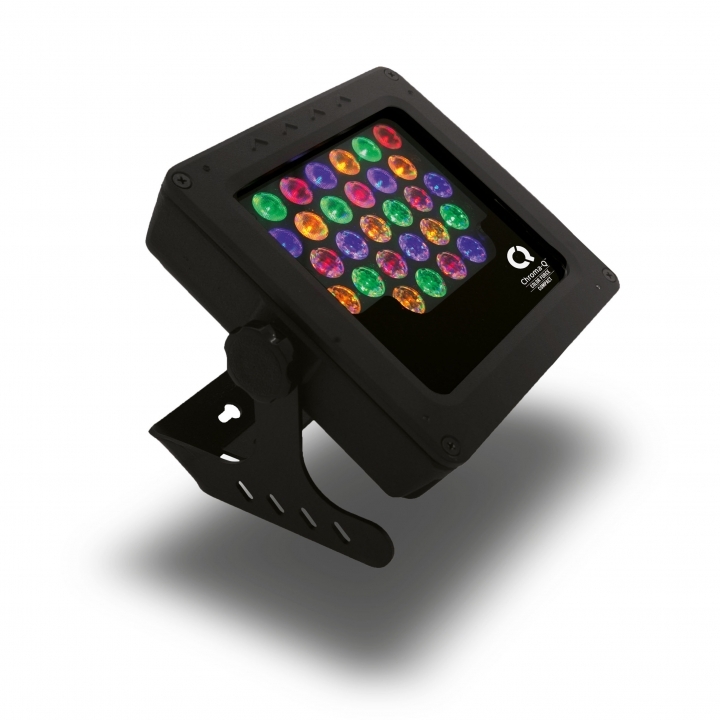 With its rugged external design and IP65 rated casing, the Color Force Compact™ has been designed as a multi-purpose workhorse fixture suitable for numerous entertainment lighting applications - including uplighting, pipe-end shin-busting, backlighting, truss toner and other wash applications. The Color Force Compact™ enables an even wider range of users and budgets to utilise the power of the Color Force as a creative lighting tool. The Color Force Compact™ uses its huge RGBA colour mixing palette to deliver a full range of high brightness colours across the spectrum. Deep cold blues, red hot lava looks and super soft pastels are all available from a single fixture. The Chroma-Q® RGBA engine has been developed to deliver an incredible CRI of 92, for true colour balance across the spectrum. The Color Force Compact™ fixture's custom optical design provides a smooth, uniform output with outstanding colour blend across the spectrum. Theatrical grade dimming, a high CRI of 92 for extremely accurate colour rendition and a clean white ensures the light output feels just right. Complementing other models in the range, the Color Force line up now provides a full choice of creative tools for almost any entertainment application. *Magic Amber is the term used for the unit's ability to bring in amber when mixing colours that require it. 267mm x 254mm x 241mm / 10.5" x 10" x 9.5"